I must admit, I’ve not indulged in any Jago and Litefoot audio stories before now; fortunately, you don’t need to have to enjoy this fresh burst of adventure. And I hope many will begin their Jago and Litefoot journeys with Short Trips: The Jago and Litefoot Revival. It’s pretty likely. Not only is the range an accessible and cheap way of enjoying Doctor Who, but this is also a story that melds together Classic Who and the 2005- present iteration of the show. 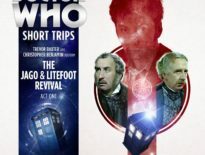 Though the Doctor actors aren’t in these audios, The Jago and Litefoot Revival features the Tenth and – as something of a wonderful surprise (so spoilers if you’ve not heard Act One, or indeed paid any attention to the image atop this review) – Eleventh Doctors. In fact, although the Tenth Doctor was billed as the headliner here, the pair share the time very well. No, they don’t meet up and debate the Blinovitch Limitation Effect, but Matt Smith’s incarnation of the Time Lord does get a lot of time to breath, largely taking over the narrative in the latter half of Act Two. It’s ironic, really: considering the Eleventh Doctor proves a scene-stealer, the Tenth Doctor’s speech feels more accurate. 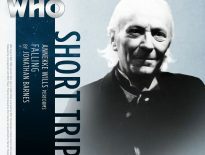 Trevor Baxter narrates in the place of Tennant, whereas Christopher Benjamin regales that of Smith’s Doctor. However, I can’t determine where the fault (for want of a better word) lies: in Jonathan Barnes’ dialogue or Benjamin’s narration. It’s nothing detrimental – just noticeable, especially in comparison to the time we spend with the Tenth Doctor, whose speech pattern is spot-on. It certainly doesn’t detract from the tale as a whole. Because this is a fantastic story. There’s not a single bad element: Barnes’ plot is tight and heart-warming, and his characterisation strong; Lisa Bowerman’s direction is exciting and intimate; Steve Foxon’s sound design is simple, scaled-back, and superlative; and Baxter and Benjamin – well, how could you ever expect anything less than brilliance? The action kicks off straight where we left off last episode, the two acts blending into one with break for a cuppa in between. This time, we’re treated to Christopher Benjamin’s voiceover as the Series 4 theme tune plays: as with Baxter in Act One, it’s such a treat to hear. He even extends his Henry Gordon Jago persona into this bit of fourth-wall breaking. Jago is, as ever, the showman, but it’s clearly rubbing off on Professor George Litefoot too. The threat definitely reminds the listener of the Gods of Ragnarok (which makes you wonder why the theatrical impresario and his medicinal genius/best friend haven’t come up against the Greatest Show in the Galaxy‘s antagonists). Pleasingly, this is a story with real weight – for Jago, for Litefoot, and yes, for the Doctor. It’s been almost a year since George and Henry had seen the Doctor, and they’re experiencing a lull in their lives. This is where the Doctor comes in. About halfway through Act Two, you realise the significance of the story for the Tenth Doctor: no spoilers here, but suffice to say, it makes for one wonderful adventure. However, this won’t be remembered primarily for its inclusion of the Tenth and Eleventh Doctors. This will be remembered – extremely fondly, I should add – for being one of the final audios to star Trevor Baxter (this being released just prior to Jago & Litefoot: Series 13). His Doctor Who partnership with Christopher Benjamin remains so important in the show’s legacy, and the news of Baxter’s passing in July 2017 was a sad shock. But this is a superb, touching, and refreshing tribute; no wonder it’s being rereleased as part of the upcoming Jago & Litefoot Forever set. It’s sure to be a glorious thing. The two were first paired together in 1977: 40 years later, The Jago and Litefoot Revival proves why this friendship is so special to us, and why their lasting appeal will cling to the bones of Doctor Who now and forever. 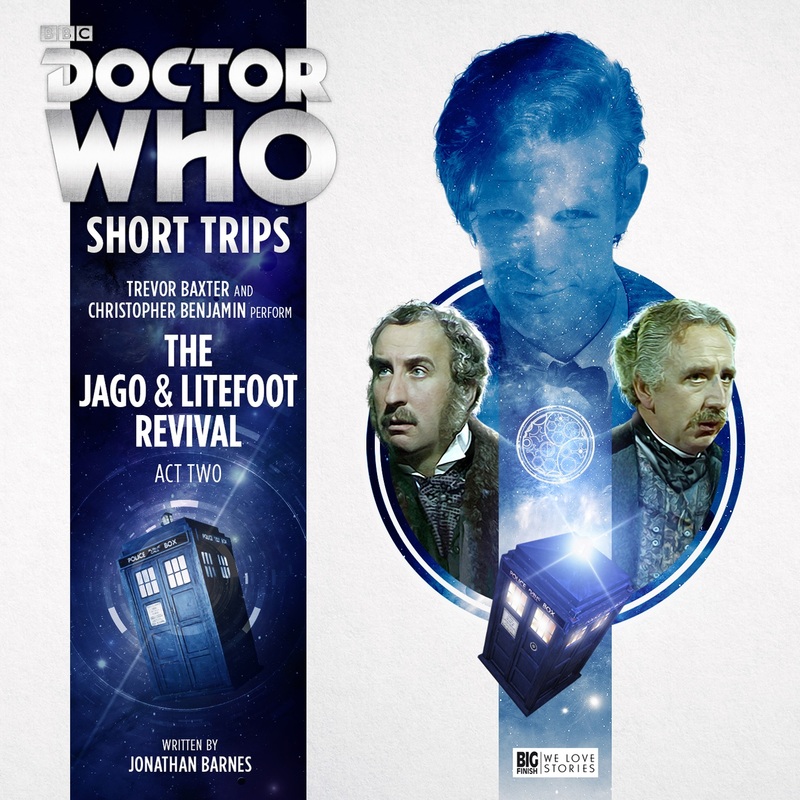 Short Trips: The Jago and Litefoot Revival, Act Two is out now as a download-only tale from Big Finish; however, it’ll also be included in Jago & Litefoot Forever in May 2018, alongside an extra serial plus special features including interviews.